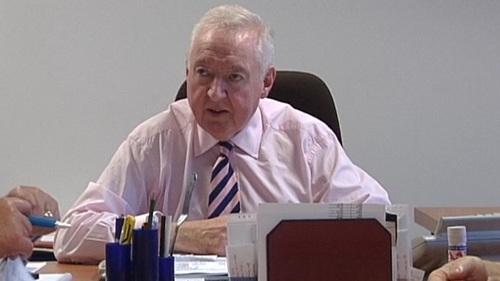 The former editor of the Irish Independent, Vincent Doyle, has died. He was in his 70s. Mr Doyle began his newspaper career in 1958 when he joined the Irish Press, before moving to the Sunday Press. He joined the Independent Group in the 1960s and became editor of the Evening Herald in 1977. He became editor of the Irish Independent - the biggest selling daily newspaper in the country - in 1981 and remained at the helm there for 24 years, making him one of the longest-serving editors in the Irish newspaper industry. He is survived by his wife, Gertie, and three sons. The Taoiseach has paid tribute to Mr Doyle. Mr Cowen said: 'Vinnie Doyle was a legendary figure in Irish media, someone whose traditional commitment to news gathering and values won him the respect of his peers in journalism and beyond that in the worlds of politics, business and sport.